ISLAMABAD: Prime Minister Imran Khan on Friday appealed to the countrymen, especially overseas Pakistanis, to generously contribute for building new dams. In a brief pre-recorded address to the nation, Prime Minister Imran described the ongoing water crisis as the biggest challenge confronting the country. He warned that if new water reservoirs were not built within seven years, the country would be facing a drought-like situation. “Overseas Pakistanis, especially those living in European countries, should contribute at least $100 to the PM/CJP’s fund for dams,” Imran said. No foreign country, he said, was willing to lend more loans for building dams because the country was already overburdened by heavy foreign debts. “I have been briefed by (various) government departments about the challenges being faced by Pakistan on the economy and energy fronts. But in my opinion, the biggest challenge the nation has been facing is water scarcity,” the prime minister said. 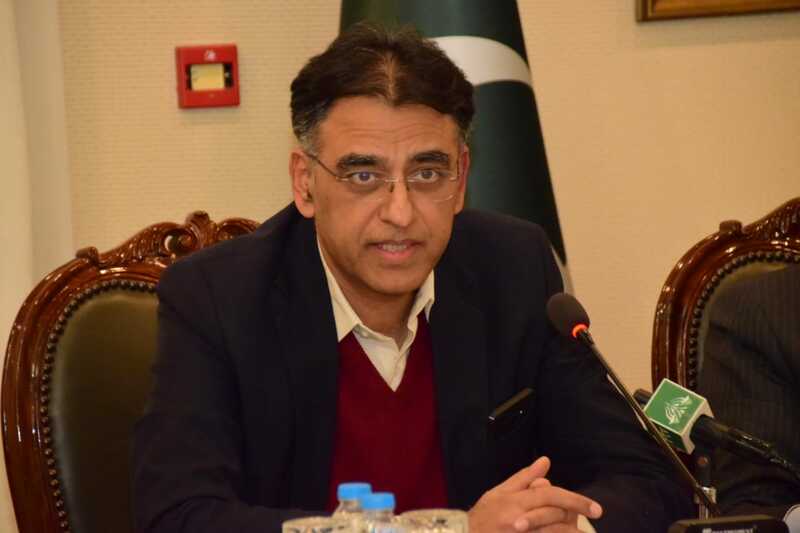 He said at the time of the country’s independence, every Pakistani was able to use 5,600 cubic metres of water that had now reduced to just 1,000 cubic metres. Highlighting the country’s dwindling water storage capacity, he said water stored in the country’s reservoirs could last just 30 days. “India has a 90-day capacity while Egypt’s (reservoirs can provide water for) 1,000 days. According to international standards, the safe capacity level is 120 days,” Imran said while citing various statistics. “Contribute generously. I assure you that I will protect your money for the fund,” he said, adding that contribution in foreign exchange, especially the US dollars, would also help improve the fast-depleting domestic foreign exchange reserves. He said right now, the government did not have enough money to build dams, but if the nation supported the government in this endeavor, Pakistan could build a dam over the next five years. He said the Prime Minister’s Fund for Dams would be merged with the Chief Justice’s Fund. According to him, Rs1.8 billion had so far been collected in the Chief Justice fund for dams. Praising the chief justice of Pakistan’s initiative, Imran said this should have primarily been tackled by politicians. “But the political leadership never paid (any) attention to this issue,” he said, adding he had also talked with the chief justice in this regard. The statement comes hours after the Pakistan Meteorological Department (PMD) issued the second drought alert for the year, and advised all the stakeholders to be ready to handle the situation as it is expected that dry conditions will cause water stress in the cultivated areas of the country due to limited supply of irrigation water for Kharif crops. The prevailing drought-like situation is likely to worsen in the coming days mainly due to insufficient rainfall during summer and monsoon season in lower parts of the country. The promises of someone who has been called “U-turn Khan” are worth nothing and will convince no one. Case in point- Atif Mian nomination to EAC and his subsequent removal. That was a huge let-down to those who believed in his previous promises. After the Atif Mian episode, it will be more difficult to convince people in future. I appreciate the step and i am happy that our nation is showing seriousness in this project. We all should contribute, this is the need of time. i am not an overseas Pakistan, i am living here in Karachi. Wow this is a huge joke. Dams cannot be financed through charitable contributions. They cost way too much money. Only governments can afford to finance dams through tax revenue. Futhermore if water is so scarce how about making water consumers pay the full price of the water they consume? Water subsidies and water theft must be stopped. Asking overseas Pakistanis to subsidize Pakistani water and electricity thieves is not the way to fix the economy. Dear IK, take another U turn. Bend backwards like you did on economy advisory board. So this is the “naya Pakistan” that Imran Khan promised !! Please send me the complete Dollar Bank Account with Bank name and address. If i am not wrong , the figure that you mention in your 3rd Paragraph – is $100 , instead of $ 1000. , I think you should amend it.